On Wednesday 18th April 2018, the CK Recruitment Team steadied themselves for the Recruitment International (RI) Australia Awards. 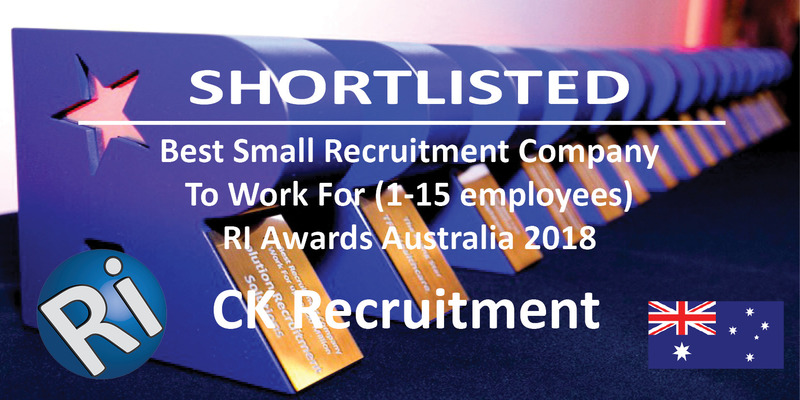 At the prestigious event, CK Recruitment were shortlisted for the Best Small Recruitment Company to Work For (1-15 employees). Whilst we missed out on the trophy, we were extremely honoured to be recognised in such a competitive field amongst our peers. 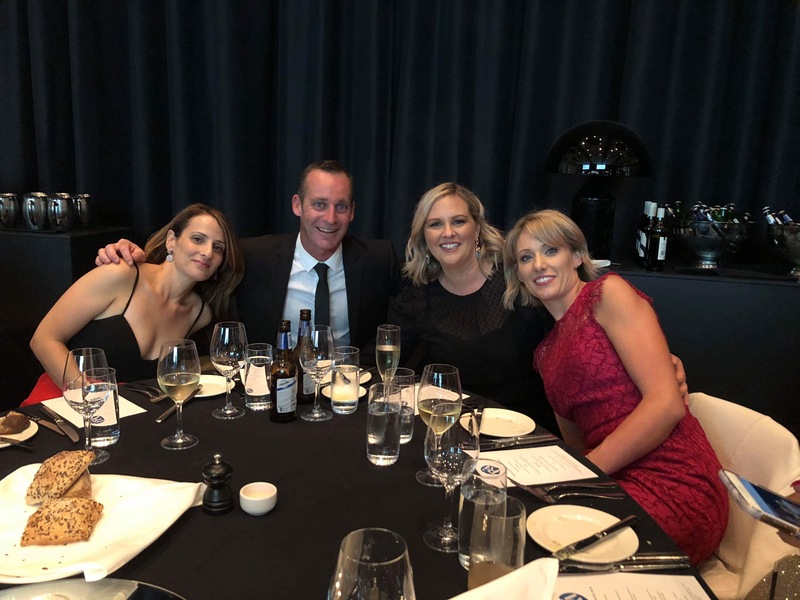 We’ve been fortunate enough for our hard work to be recognised by several business awards in the past, but these RI awards are a big deal to our business and our industry. 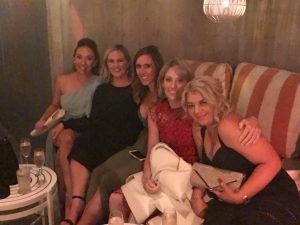 They are all about recognising outstanding recruitment performers. 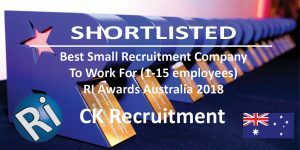 We’ve grown into to such a strong team in such a short time and the fact that we are being recognised at the high RI Awards, speaks volumes about the strength and integrity of our business and our team, and shows we are definitely a growing and dominant force in the Australian recruitment industry. On the back of this recognition, we’ll continue to grow our business. But always, we will keep people first. Our clients, candidates and most importantly our staff. Big huge thanks must go to our truly amazing team. Without you, we could not be “under complicating recruitment” in such a convincing and successful manner.